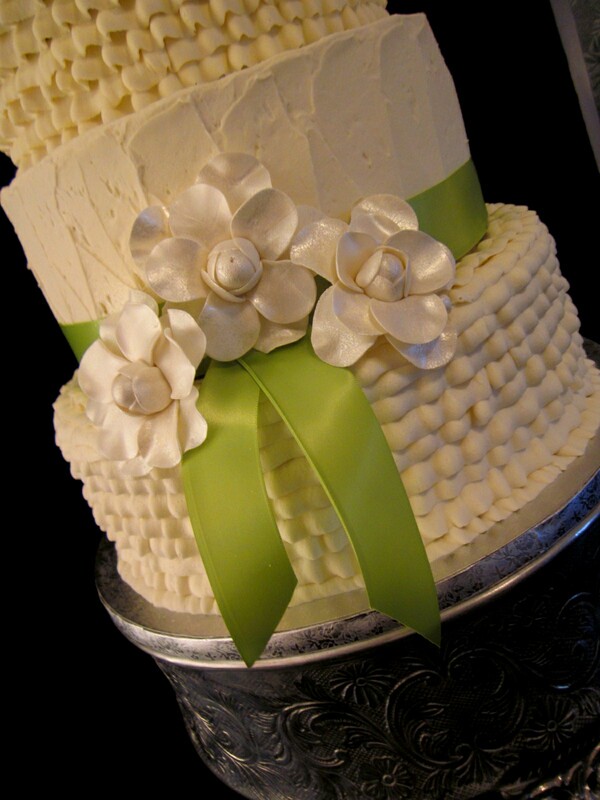 This pretty square buttercream wedding cake is adorned with a fondant ribbon and bow and accented with a rhinestone broche. 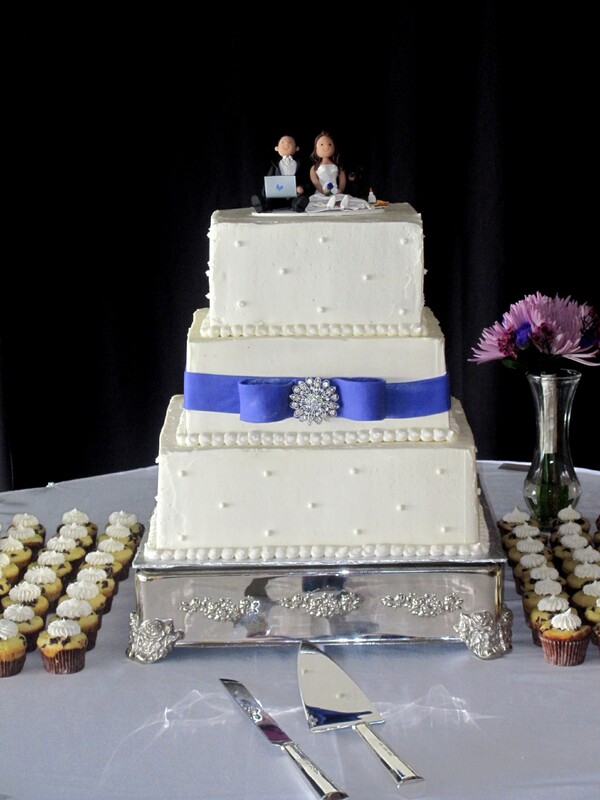 The guests were also treated to a variety of cupcakes. 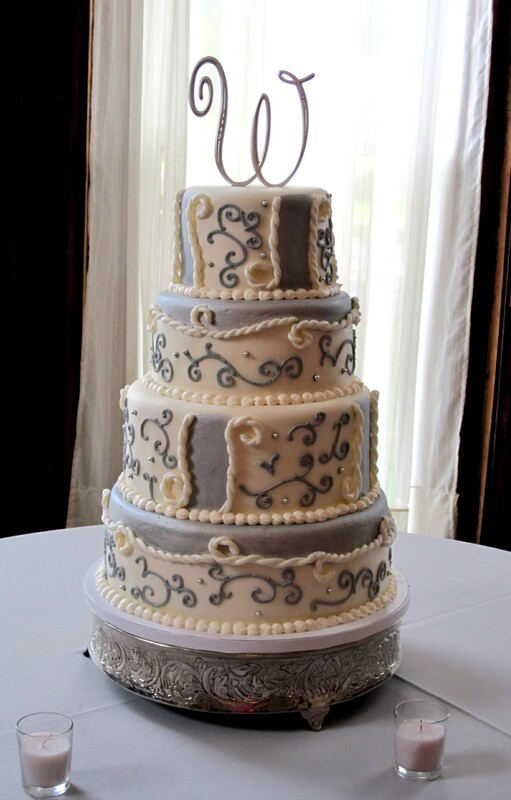 The reception was held at Keeneland Horse Park in the clubhouse. 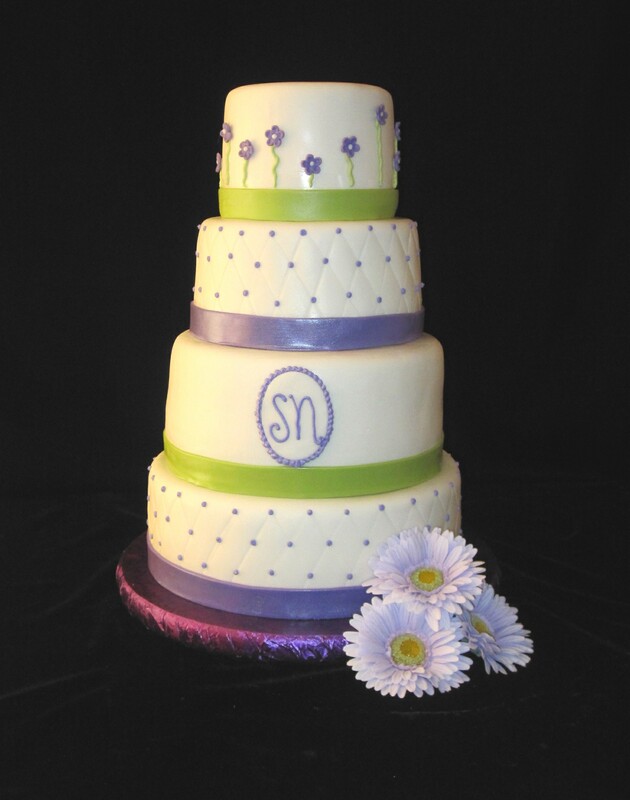 This beautiful white fondant covered cake is decorated in purple and lime green. 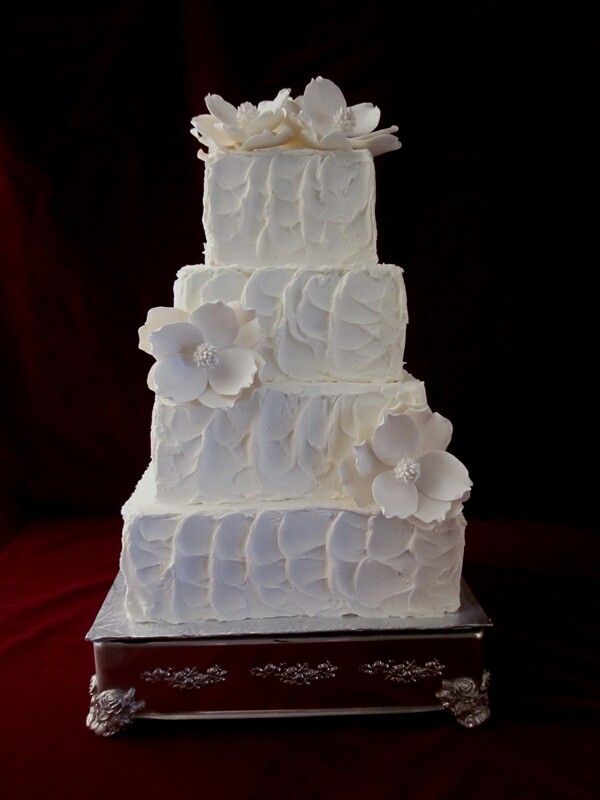 The fondant is quilted, with little purple dots and the flowers are made from marshmallow fondant. 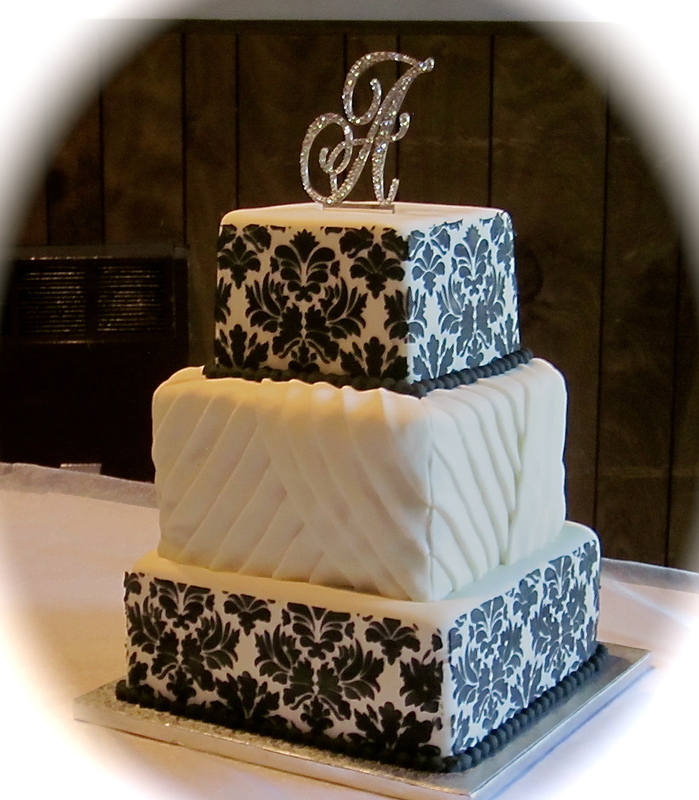 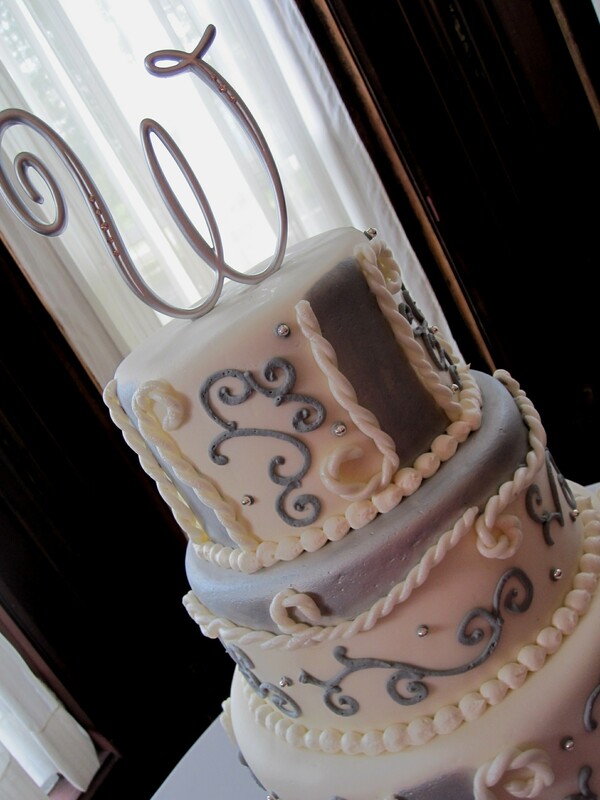 To schedule a complimentary wedding consultation, please call 859-238-9393.